Recent days were pretty much about writing the report of the project. We have finished every task including the website and Brigitta was working on HTML and CSS improvements, for example changing pictures on the homepage. We’re kind of struggling with writing the report, because we didn’t get any specific requirements for it, so we hope we’re doing a good job 🙂 For the last day, Friday, we plan to finish the report and prepare a presentation for the next week. During the weekend we were coding and designing our site. Ivan was still ill, but the rest of the team worked hard. We chose a template to work with and Brigitta edited HTML and CSS code to fit our needs. On Monday Ivan and Jozsi met in the school in order to start writing the report. They agreed on the structure and wrote the first part about cultural analysis and SWOT analysis. On Tuesday they met also with Brigitta and did a review meeting – summarizing what we have done so far and estimated the rest of the tasks. 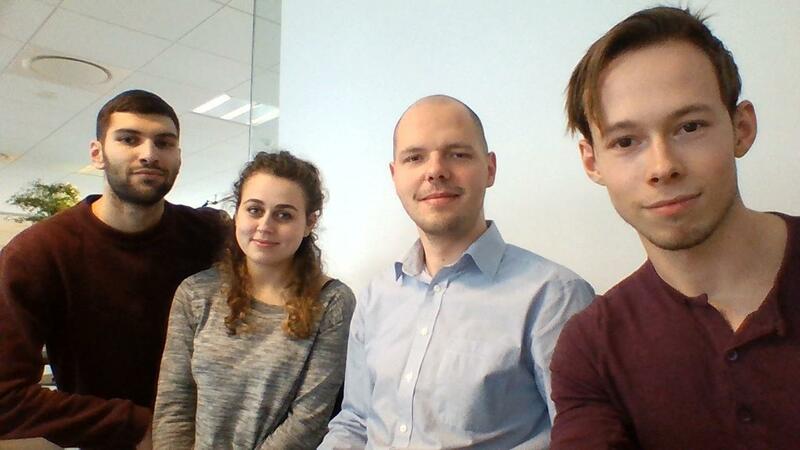 Then everybody was working on his work – Jozsi was doing some graphical edits, Brigitta and Ivan writing the report. We agreed on a big meeting on Thursday. On day 5 we were much more productive than on day 4, we finished what we were supposed to by then and started Production 1. By the end of this day we had the whole picture of how our website’s design should look like. We decided to have the Home page plus 4 subpages: Men, Women, Children (Clothing) and Buy page where customers can shop online. After our researches we found out that Hummel is very proud of their own style for their website and we agreed that Rebel should have a similar style as Hummels’ if not identical. The main colors are black, dark grey and white. Our website will contain a lot of pictures and videos pleasing for the eye. About the content of the page (text) we havn’t decided yet. We chose not to forget to mention the members of our team in the footer and we added a link directly to our blog. This day found us busy. We were all occupied with some different activities, Cristian and Brigitta were working in the morning, Ivan was very sick and Jozsi was working for the project alone in the morning because the rest of his day was very busy as well. 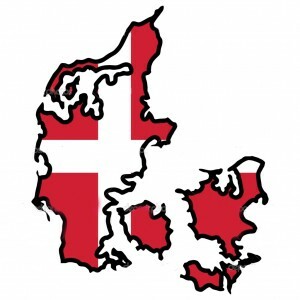 We had Danish courses from 15:45 to 18:00 and after that we were focusing on our tasks but it was difficult to focus under the existing circumstances of sickness and tiredness. This day was not so productive but we already had the materials we wanted to finish for the next day. 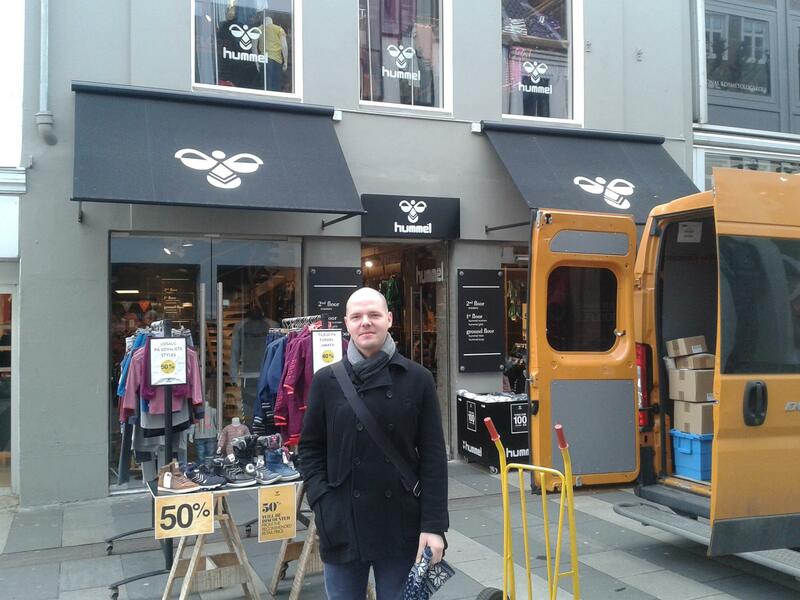 After we (Ivan and Jozsi) prepared methods for the cultural analysis and consulted them with Ulrik, we decided to go to the branch of Hummel in Aarhus city center. First we were observing design of the shop from outside, then we went in and walking around, trying to notice details, colours and if they correspond with the website design. There was only one shop assistant and because the shop was completely empty in the morning, she was bored. That was an ideal opportunity for us to ask her our investigative questions 🙂 She was open to communicate with us and told us everything she knew from her position. Unfortunately, we didn’t have a chance to interact with people from management or responsible for marketing area. When we finished our visit we moved back to the school to summarise our findings. Also, we searched more information about the Hummel owner through his website and youtube videos. Then we were writing the report. On the first meeting day we decided to divide the tasks between team members. We estimated each task to last approximately one day, so we agreed to have the next meeting on Friday 26 to put all findings together and to form a communication strategy. Ivan and Jozsi took the cultural analysis part, because they are fresh in the morning and wanted to make field research about the Hummel shop, including interviewing employees and walking through the shop. Cristi and Brigitta decided to do the research design and creating personas since they came up with an idea of a survey which was suitable for this purpose. 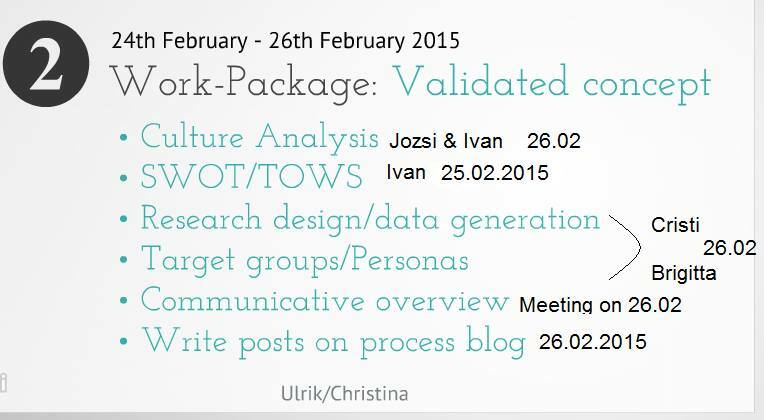 Since they are a well-functioning couple they decided to do it together 🙂 Ivan has chosen the last task, which was the SWOT analysis, because he was interested in finding new opportunities how to add value to the company as well as identify its weak points. At first we were trying to come up with as many ideas as possible to find a potential client. Our first idea was to make a product page about Sommersby cider (Carlsberg). As we found out, the Sommersby’s website is very good and we wouldn’t have many opportunities to add value to it. After consulting with our teacher Christina we learned that it’s not a good idea to cover a big company like DSB within this project since it’s not a simple product. We abandoned the peanut butter proposal as well because we would face difficulties while making a cultural analysis for a company outside Aarhus.